2 Bedroom Flat For Sale in Stockport for Asking Price £210,000. A two double bedroom top floor apartment presented to a very high standard by the current house proud owners. The apartment is located on the top floor and benefits from a loft space for storage. The property briefly comprises: two double bedrooms with fitted wardrobes and en suite to the Master, a large lounge, kitchen dining room and the family bathroom. There is a useful storage cupboard from the entrance hallway. The main building has a communal entrance and there is a fantastic lawned garden to the rear of the building. In addition, the property has an allocated parking space. 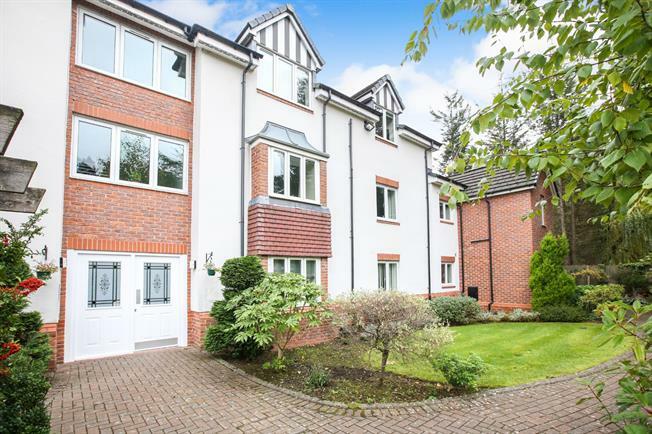 A two bedroom, two bathroom apartment with parking in a central Poynton location.